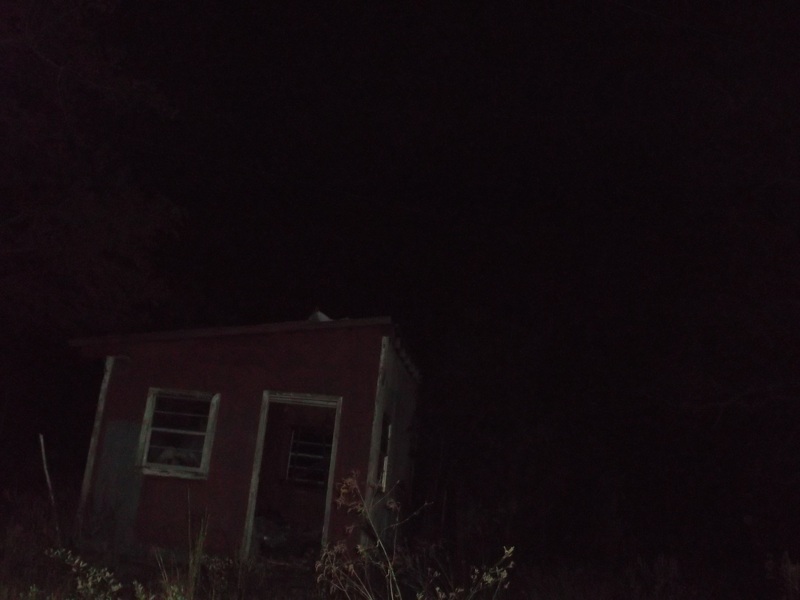 The team was asked to investigate an abandoned farm residence near Preston Ga. The clients reported the sound of heavy footsteps coming from the upstairs hall and bedroom area. 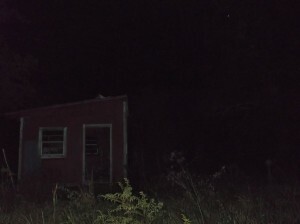 They felt as though they were being watched and one of the family members saw a black mass appear. Appliances would turn on and off sporadically and lights would flicker. The activity became so intense that the family abandoned the house with all of its contents and the place has remained empty for several years. They did occasionally return to remove some of their belongings but always were too uncomfortable to spend more that a few minutes. Some members of the family returned to the house with us on October 19th. The power and water in the house is turned off and The initial E.M.F. sweep of all the rooms registered 0.0. The light was supplied by oil lamps and flashlights. At first there was very little activity but as the evening progressed we seem to establish communication with the unknown entity. We did get several responses to questions by flashing on the K-2 meter. 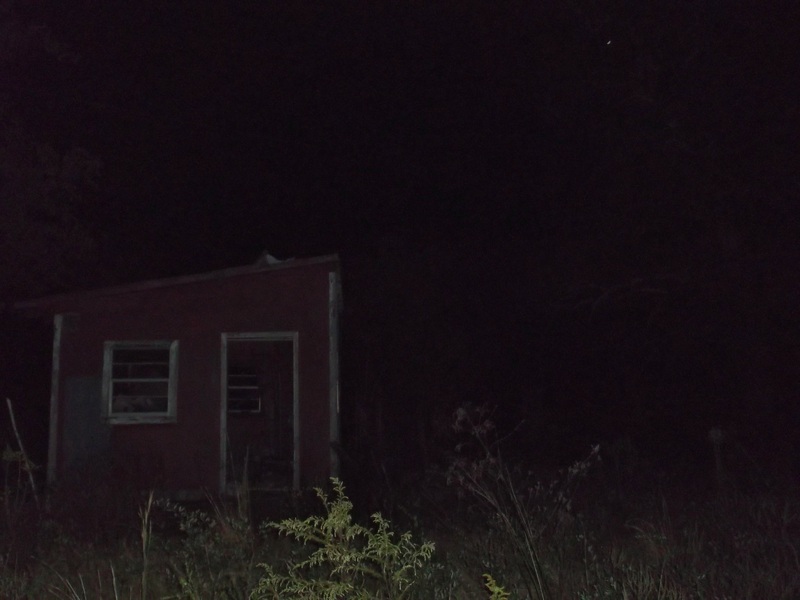 Pic 1 shows the shed outside the residence. There is something in the shed that is piled in front of the window. View Our GalleryView pictures, investigation data, and more by checking out our gallery. Here at Bi-City Paranormal Research we are dedicated to helping our client’s and keeping their information confidential.